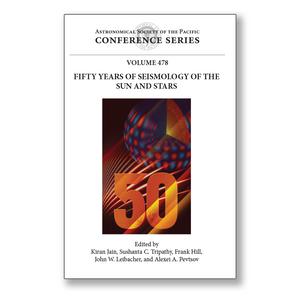 These proceedings report on a conference that celebrated fifty years of research on the seismology of the Sun and more distant stars. The fields of helio- and astero-seismology use sound waves to probe inside stars, and have revolutionized our knowledge of the structure and dynamics of stellar interiors. The meeting began with an historical overview of the beginnings of helioseismology back in the early 1960s presented by the people who made the pioneering observations and the critical theoretical breakthroughs. The field was brought into the present with a number of reviews of current topics including multi-wavelength helioseismology, the effect of strong inclined magnetic fields on solar oscillations, seismic constraints on dynamo theory, space weather applications of helioseismology, and asteroseismic results from the space missions such as Kepler and CoRoT. Finally, avenues for future science and the research programs that are needed to make progress were discussed. A total of 52 papers are contained in this proceedings volume, which captures the flavor and highlights of the meeting. The conference was greatly enlivened by the mix of participants, which included some of the founders of the field, many current practitioners, and the latest generation of young scientists.